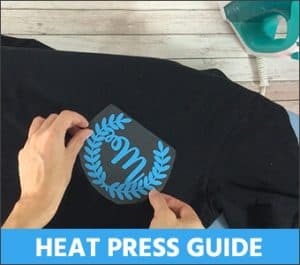 The idea of getting started on adding some great designs to t-shirts, caps and other garments is exciting but there are a few practical matters to sort out before you get started. Chief among these is the cost of a heat press. Will this device cost so much that it is too expensive to buy one? Are you likely to get a budget model that suits your purposes or will you need to splash out on a top of the range option? If you are just starting to find out about this subject then you may fear that it is going to cost you a fortune to get started. Yet, the fact that there aren’t particularly expensive devices. In fact, considering how much use you could get out of one it could turn to be a fantastic investment. If it allows you to start up a successful business then it could even be something that you look on as being the very best investment of your life. 1 How Much Do You Want to Pay? 6 Are Second Hand Heat Presses Worth It? 7 What Model Should You Choose? 8 So, How Much Is a Heat Press? Our Conclusion! Before you get started on looking at how much is a heat press to buy you will want to consider a few things. First of all, is this something that you are going to use to start a business, or purely for personal reasons? It stands to reason that you will be happier to pay more if it for a business. After all, this is the main expense that you will face and it is going to be the heart of your business. The truth is that this is one of the lowest cost businesses to start up anyway. A small and inexpensive machines like this can be enough to get you up and running. Maybe you will start off simply and consider adding another heat press if the business grows as expected. 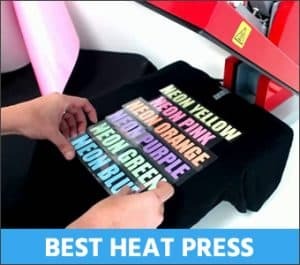 If you are only thinking of making a few t-shirts for you and your family then you may be tempted for the cheapest heat press models. This makes sense for a lot of people, although you may think that pay more for higher quality is worth thinking about. Clearly, this isn’t a free hobby, but it is relatively inexpensive. If it is going to give you endless hours of pleasure then it will certainly be money well spent. Of course, some people buy a heat press without being completely whether it is going to be used for business or personal reasons. Maybe you plan on using it for your own clothes at first, before possibly starting up a business later if everything goes well. By taking a quick look at some online retailers’ sites you can begin to get a feel for the how much a heat press is. You will see that basic models tends to start at around $100 (at the time of writing). There are a few different models between this figure and around $200 or so. A number of different manufacturers also operate in this price range. As you would expect, the lowest priced heat press machines will typically be fairly basic models without too many additional features. Having said that, you don’t need to pay much more to move up a notch or two. Indeed, once you get to around the $200 mark then you can expect to get highly versatile machines that give you a lot of different ways of using them. For example, some of the cheaper machines are 5 in 1 models, meaning that they have distinct uses. By spending a bit more you can get an 8 in 21 model that gives you a good deal more flexibility. The basic heat presses that cost least are functional devices that you can get a lot of use out of. Certainly, you shouldn’t need to fear getting a flimsy, awkward machine that you are barely able to use before it packs in. Having said that, if you pay a bit more then you will get a better build quality and all-round enhanced experience. The big question is whether that is enough for you to pay some extra money or not. It is a good idea to start your search for a heat press with the basic models that cost very little to buy. Will you find something here that is perfect for you? There is a chance that you might but if you don’t then it simply a case of moving on and looking at something a little more expensive instead. So, what happens once you look at those heat presses that cost over the $200 barrier to purchase? You probably expect this to give you access to more professional machines and maybe a greater range of accessories. This is certainly true to a point. The most expensive and best heat presses are typically highly versatile and often come with more accessories. However, more important is the fact that they tend to be better built. A study, easy to use heat press is a pleasure to use. By paying a little bit more you should get a model that is simpler to operate and will probably last you for longer as well. You can work one of these machines with confidence, time after time. This is a good point to look at the safety aspect. There is little reason to fear using a heat press, as they are designed to keep you safe from harm. However, there is no point denying that these devices generate a great deal of heat and pressure, which can be a nasty combination if anything goes wrong. Some reasonably common complaints on reviews of cheap heat presses is that they can send out sparks or heat up unevenly. While it is highly unlikely that you are injured while using a heat press, this risk is even lower when you buy a higher quality machine at a higher price. The extra build quality and safety are going to give you greater peace of mind when you use it. Ok, so once you get your device home how much extra is it going to cost over time? How much is a heat press maintenance program going to cost you over a year or a few years? The good news is that looking after your new heat press is more about taking care of it than spending money on it. Avoiding scratching and not leaving it switched on for longer than is necessary are the main tasks that you need to be aware of. After a while, you may need to clean off the ink build-up on the heat plate. If it has a Teflon cover and a silicon pad then you will want to keep these areas clean and free of damage too. Doing this regularly and thoroughly should help to extend the life of your machine. The amount of maintenance needed will largely depend upon how much you use your heat press. Will you be printing off designs for dozens of t-shirts a day or only using it once a month or so? There should be no need for any great expense in these areas, though. In most cases, it is simply a case of rubbing the machine down a damp cloth. You might also want to regularly grease your heat press but, again, this shouldn’t mean any sort of substantial expense on your part. This means that it makes even more sense to buy a heat press that suits you. Since there are no substantial maintenance costs to take into account you can view the cost of the buying the right model as your main investment. The next point you need to consider when looking into how much a heat press costs is the price of the accessories that you will need to pick up over time. Naturally, you will need to buy the objects that you are going to be pressing the designs onto. 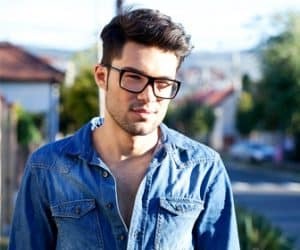 If you are planning this as a business move then you need to factor in the cost of the t-shirts, caps, mugs etc as part of your overall costs. If you get a lot of customers then you will need to spend a fair bit on these things. What else will you need to buy apart from this? Well, the main cost is likely to be with the vinyl transfer sheets. These are the sheets that you use to actually press on your designs to the product. They are typically sold in packs of 10 or 15 sheets. Expect to pay around $1 or so for each sheet, with bigger packs often providing better value in the long run. If you are planning this as a business investment then you will want to have a big selection of coloured sheets available at all times. Are Second Hand Heat Presses Worth It? May you be tempted to save some money by buying a second hand heat press? This can be a good idea when buying other types of machine so could it be the right decision for you just now? Certainly, if you feel that your budget doesn’t stretch to buying a brand new heat press then this is an option to take into account. Yet, when you discover how much is a heat press then you may feel that paying a little bit more is a good move. With any sort of second hand device of this type there is a risk. How has the previous owners treated it? Have they cleaned it regularly and looked after it well? Has it been used sparingly or has it already been used to produce hundreds or thousands of designs? If you find a new heat press that fits your budget then you would probably be well advised to buy it rather than trying to save some money. With a brand new model you will feel confident of it working perfectly and may also have the benefit of a decent warranty to give you peace of mind. As we have seen, there are a number of different heat press models on the market just now. Finding the right one at a price that suits you could seem like a challenge. 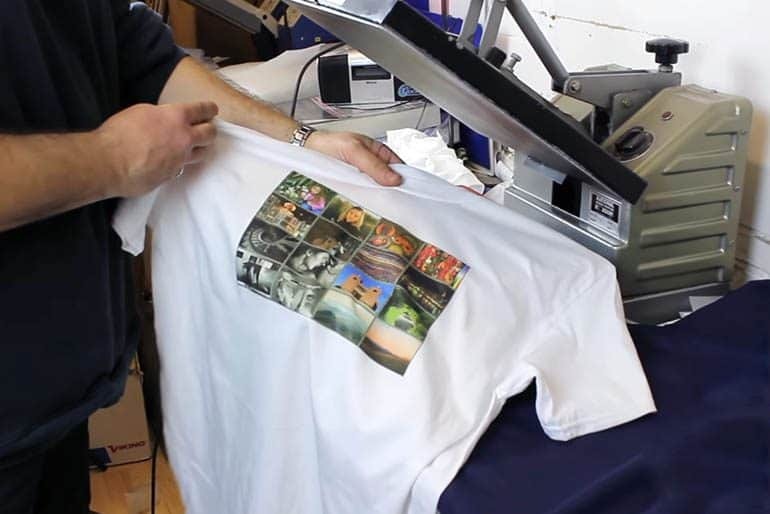 One heat press that makes sense for a lot of new users is the PowerPress Industrial-Quality Digital Sublimation T-Shirt Heat Press Machine. Check out this awesome user review of the PowerPress Heat Press! This black model looks professional and solid. It has a 15” x 15” heat plate, which is a standard size for these devices. It isn’t the cheapest heat press around. However, it is nicely situated at the top end of the lowest price range, which is where many first-timers are likely to be looking. This popular model weighs just 10 pounds, so that it is highly portable. It can be used at home and also as part of a small to mid-sized printing business, although if you are going to be creating a lot of designs then you might eventually find that your business outgrows it. As for technical specifications, it operates with 1800 W of power and has a temperature range of 0 to 750F. The heating time can be set at anything from 0 to 999 seconds for greater versatility. This powerful heat press has a replaceable fuse that protects it from damage. The heating plate is covered in Teflon to help you to use it more safely as well. So, How Much Is a Heat Press? Our Conclusion! There is no need to fear this being a massive expensive. A good quality heat press that gives you excellent results can cost as little as $100 these days. If you want to spend more then going over the $200 mark will give you a greater amount of variety in the models that you can pick from. However, most users won’t really notice much difference between a lower cost heat press and one that is a bit more expensive. With low on-going costs, all you really pay for are the vinyl transfers for each new creation that you want to make. Therefore, this can work out to be the ideal, low cost way of getting an interesting new hobby or a potentially exciting new business off the ground. 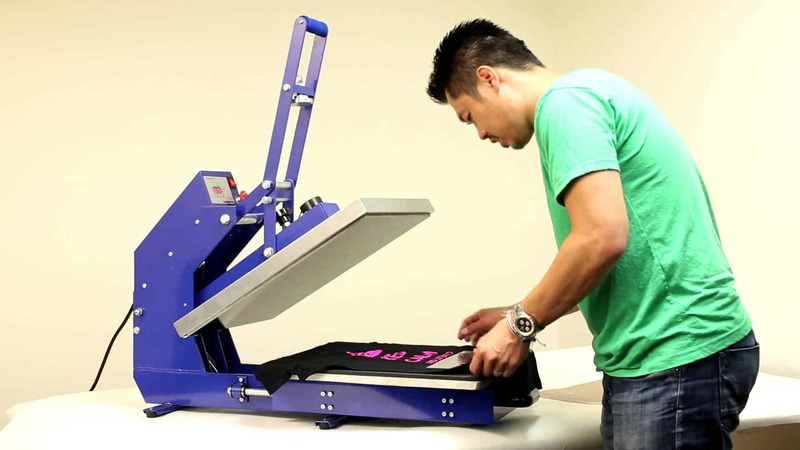 Heat Press vs Screen Print: Which One's Better! ?